Moving time: 4 hr 3 min. Wind: Calm all day! 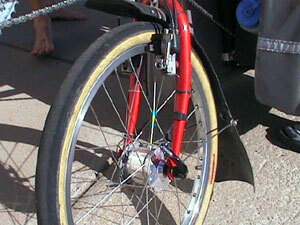 This is the first day of riding in a week that there hasn't been a cross wind. 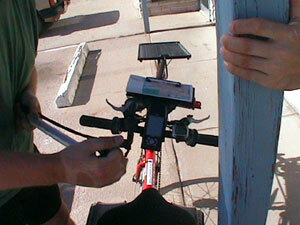 Weather: 65°F (18°C) in the morning; got up to 85°F (29°C) by the end of the ride at 10:30 am. Supposed to reach 98° today. Today was a beautiful, cool, windless, fast, short day of riding. We hit the road before dawn and made it to our destination by 10:30 am. We almost decided to ride on but the next town with a hotel (Ordway) is 63 miles from here and it is expected to reach near 100°F today so we held back. There is a town half way to Ordway that has camping but does not have shower facilities. 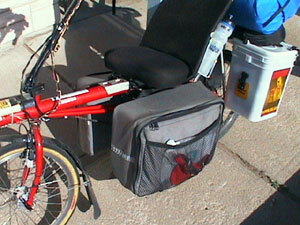 Joe is still on schedule and I'm about three days ahead of schedule. 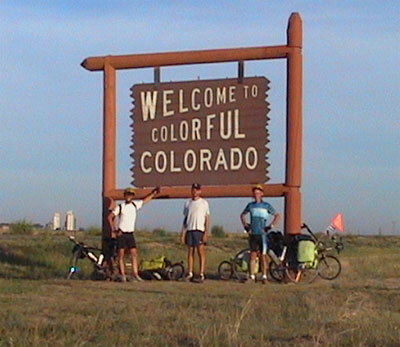 We hit the Colorado border just sixteen miles into the day and took a group photo by the welcome sign. Colorado gave us the best welcome of the trip so far. This is my sixth of eleven states and it should be just beautiful. We should start to see the Rocky Mountains off in the distance tomorrow. 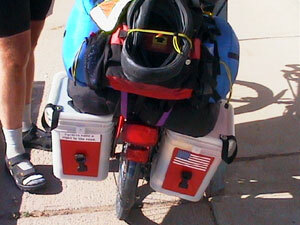 Two days from now we'll be in Pueblo, the second largest city on the route. 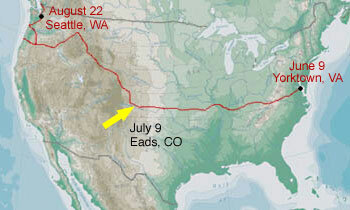 The largests is Eugene, Oregon. 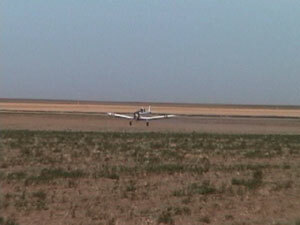 A crop duster was working near Towner, Colorado and I stopped to take some video of it. The pilot is very skilled at what he does. He flew just a few feet above the ground while spraying. Here is a still from the video clip. Each day brings with it a change in scenery. We are definitely in the desert now. The only vegetation toward the end of the ride included cacti, sun parched grass, and scrub brush. There are very few trees and no cultivated crops west of the Colorado border so far. 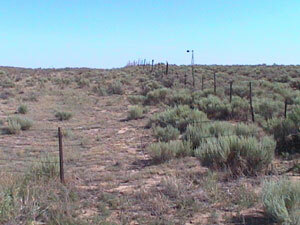 The first picture shows a fence row and a distant windmill about fifteen miles west of the Colorado/Kansas border. 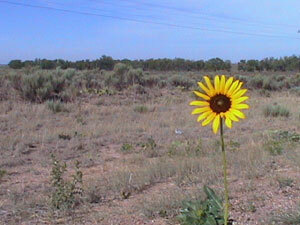 The second picture is of a roadside flower that seemed out of place amid the scrub. Another significant change is the lack of grain elevators in Colorado. The arid desert just does not support the crops that were common in Kansas. 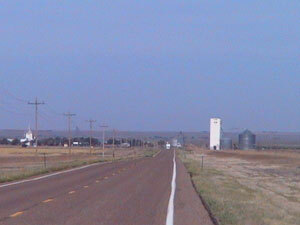 Here is a picture of Sheridan Lake, Kansas which is has the westernmost grain elevator on this section of the route. We met up with two other riders today. Scott is an eastbounder who just came off the Western Express route. 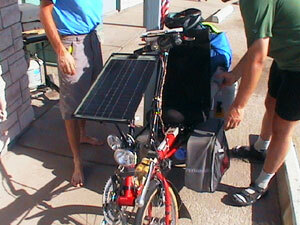 Geert is about to get on the Western Express so he spent some time getting acquainted with the route from Scott. Here is a shot of them looking over some maps.